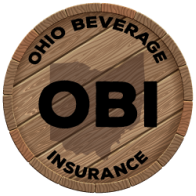 Ohio Beverage Insurance is a division of Dostal & Kirk, Inc. (D&K), and was established in 2016. D&K traces its roots back to 1875, and has always been family-owned and operated. Our goal at OBI is to provide complete and thorough risk management counsel along with a superior customer experience. Our clients tell us they appreciate the unique approach we take in caring for their needs. Let our caring and personalized approach help you and your business thrive while protecting the dream you have worked so hard to create. The Dostal family owned and operated a brewery in Ohio during the early 1900’s. The pre-prohibition Dostal Brothers Brewery was the only one located in Bucyrus, Ohio. It opened in 1902 and closed its operations in 1912. We love discovering collectibles from the old family brewery.